Spice up your Game Day tailgate snacks with these Carnitas Chili Bowls, flavored with Old El Paso™ seasoning and salsa, served in soft tortilla bowls. This is a sponsored conversation written by me on behalf of Acme Markets/Albertsons. The opinions and text are all mine. Though I’m not much of a football fan, I love going to Game Day parties, not only for the funny commercials, but also because I love tailgating food. My favorite game day snacks are the spicy ones. 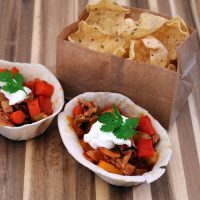 I teamed up with Old El Paso™ and my local Acme stores to create a recipe to spice up your Big Game Day. 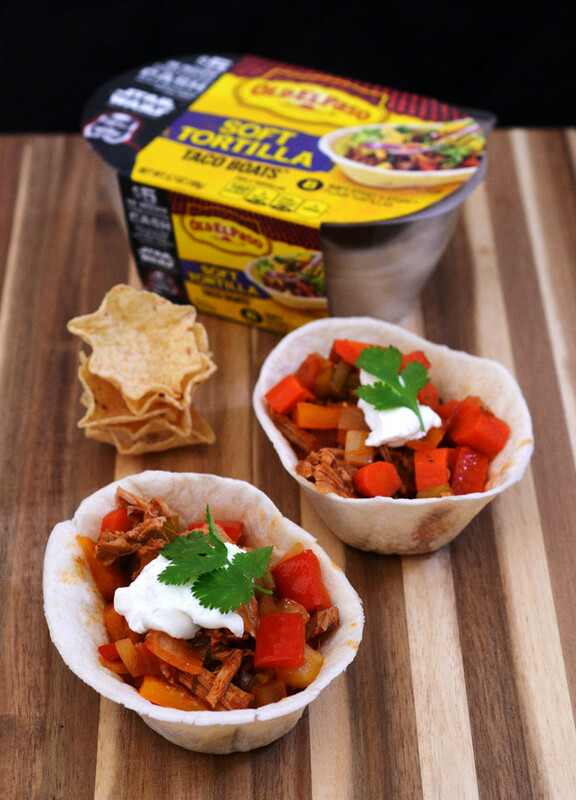 With Old El Paso™’s seasoning, taco bowls and chunky salsa, I made a slow-cooked carnitas chili to serve in soft tortilla bowls, with tortilla chips to serve. 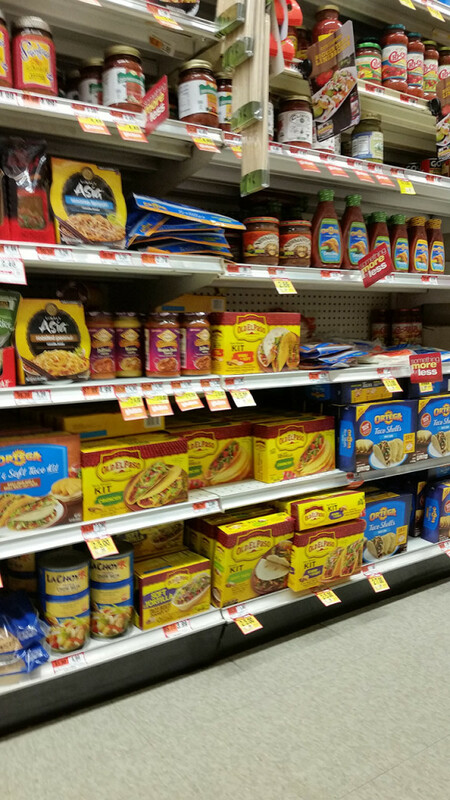 All Old El Paso™ ingredients featured in this post can be found in the international foods aisle of your local Acme supermarket. This recipe is best when it’s made ahead, giving the flavors time to permeate the whole dish. Though it takes a while, it’s fairly hands-off cooking. And it makes your whole house smell amazing. 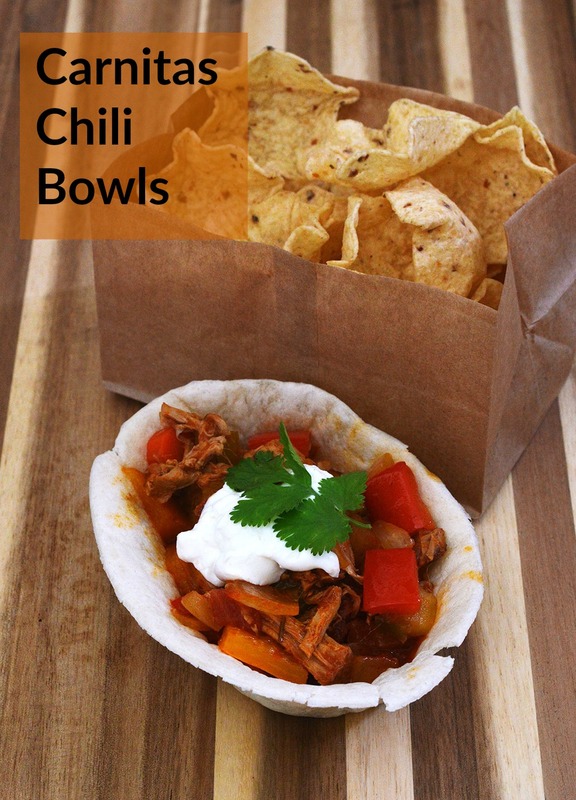 The chili bowls are also very customizeable. Add a can of beans if you like beans in your chili. Use less (or completely leave out) jalapenos if you’re not a big fan of heat. Garnish with avocado instead of sour cream. 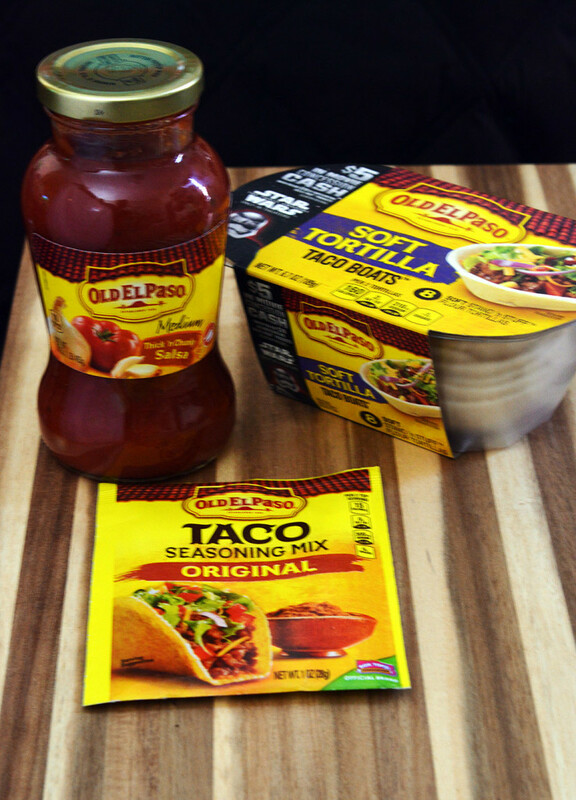 If you use avocado, get a coupon on MyMixx to save $1.00 on any one package of Old El Paso™ Dinner Kit, Tortillas, or Taco Shells and TWO Avocados from Mexico (coupon valid 1/1/16 through 2/9/16). In a large Dutch oven, heat the oil over medium high heat. Add the pork and brown on all sides, about 15 minutes. Sprinkle the contents of the seasoning blend over the pork, turning to coat the whole piece. Add the beef broth, minced garlic, minced cilantro and the bay leaf and bring to a boil, then reduce the heat to low and cover. Cook the pork for 2 1/2 hours, turning twice. Make sure there is about 1-inch of liquid in the pan at all times. If it evaporates, replace it with water. With 2 forks, shred the pork; it should fall apart very easily. Add the bell peppers, jalapeno, onion, carrots, celery and the salsa. Raise the heat to medium, cover and cook for 30 minutes. Adjust the seasoning with additional salt if desired. 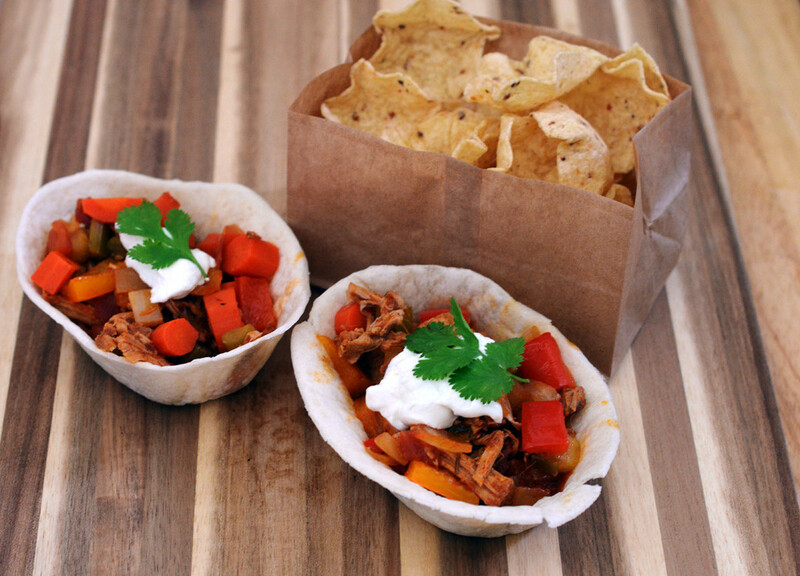 Serve in soft tortilla bowls with sour cream and garnish with the cilantro sprigs. Add tortilla chips or scoops on the side. 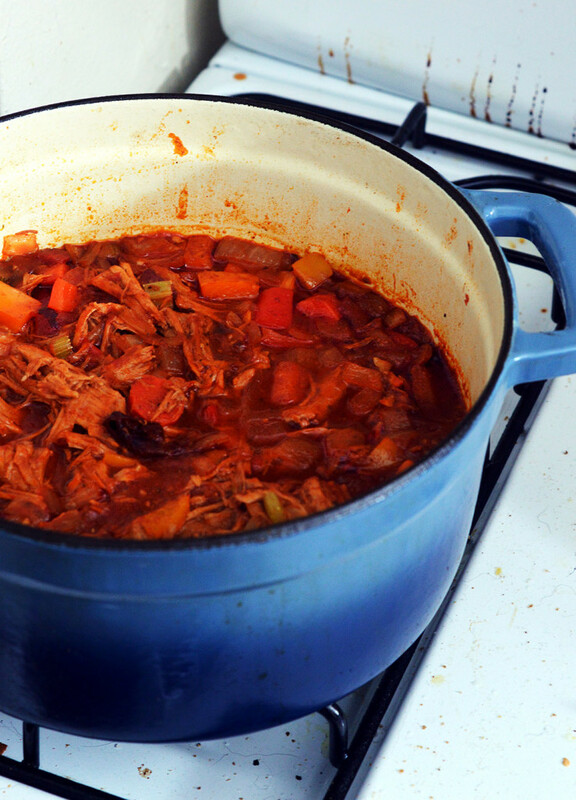 The chili can be made up to 3 days in advance and kept in the refrigerator.